AR Invaders: Augmented Reality iPhone Game Transforms Your World Into A Battlefield [video] - iPhone.MY - Daily News On Mac, iPhone, iPads, iPods and more! AR Invaders is a totally new gaming experience – You’ve NEVER played a game like this. Your surroundings literally turn into a war zone with invading alien forces. 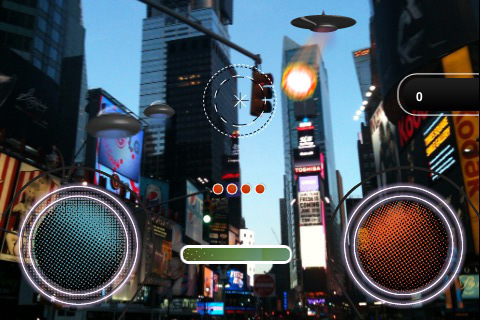 AR Invaders brings the classic alien invasion game theme into the 21st century with an augmented reality twist. You have joined Earth’s Resistance Forces to hold back the aliens ships that are attacking our cities, forests, beaches and deserts – wherever you are, they are coming.